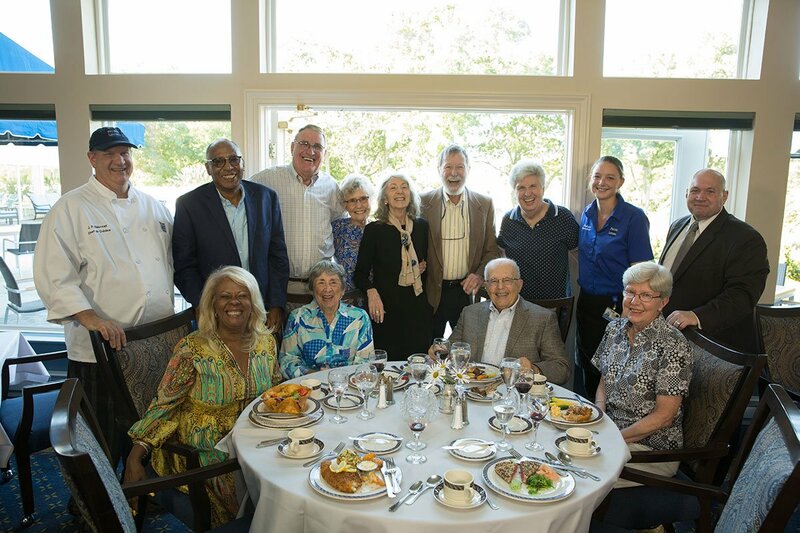 We know that delicious meals in a charming setting are an integral part of the Peconic Landing lifestyle. 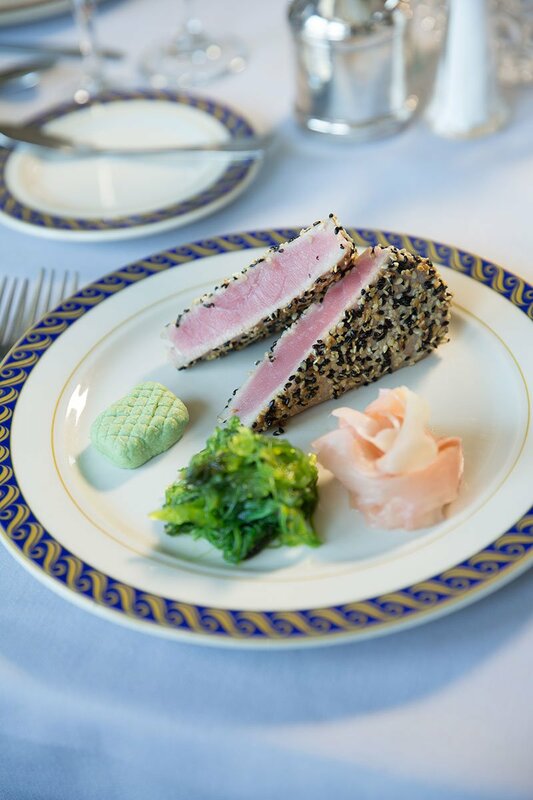 That’s why we’ve created an extraordinary dining experience, fueled by member input and a commitment to excellence. 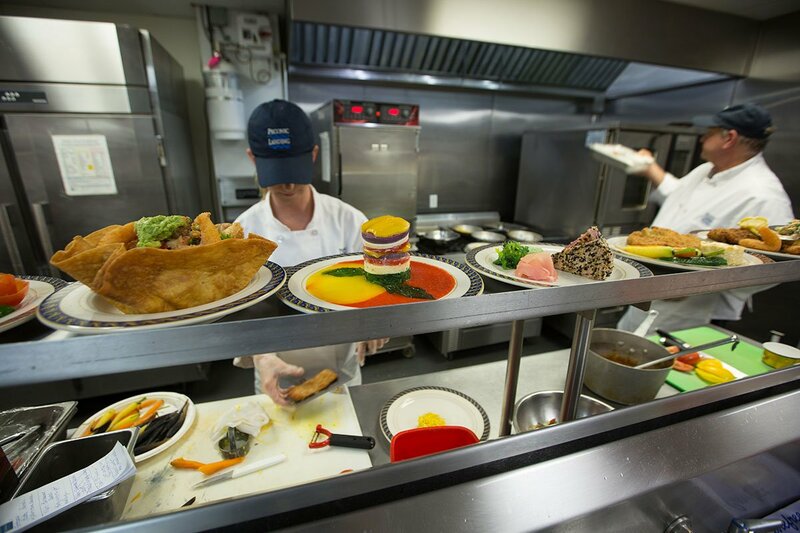 We focus on fresh ingredients and working with local purveyors when possible. 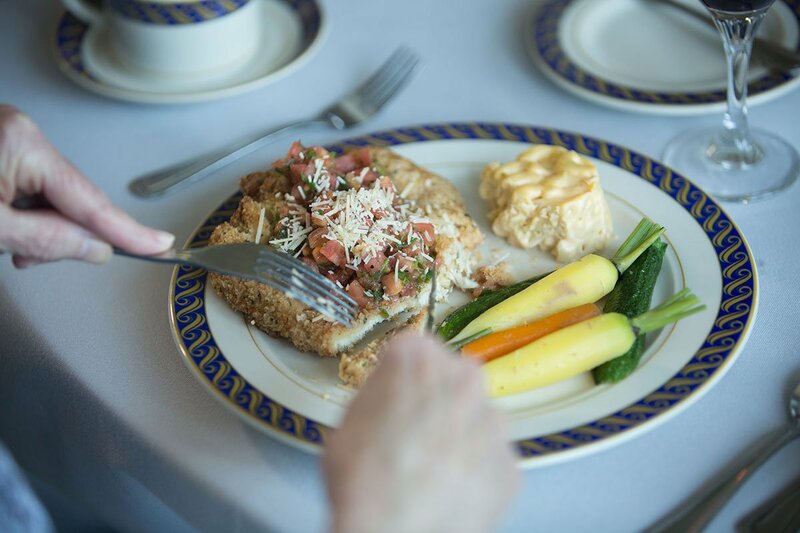 With multiple meal options available every day, there is truly something for everyone. 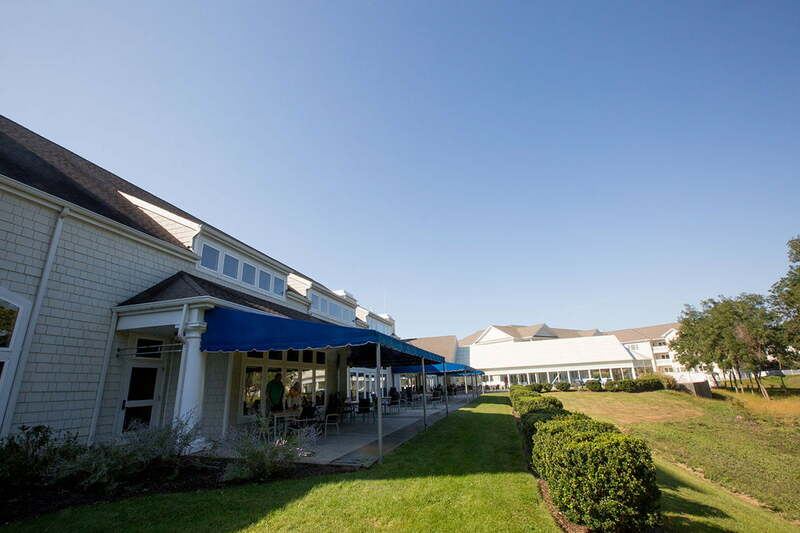 Peconic Landing offers both casual and formal dining venues to provide choice and meet member’s expectations for culinary excellence. 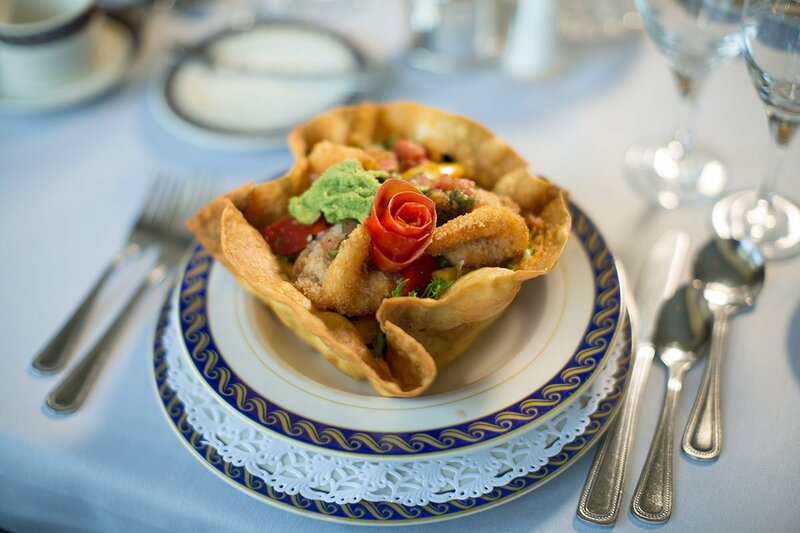 With five waterview dining rooms, our culinary team offers lunch and dinner daily with a brunch menu on Sundays. 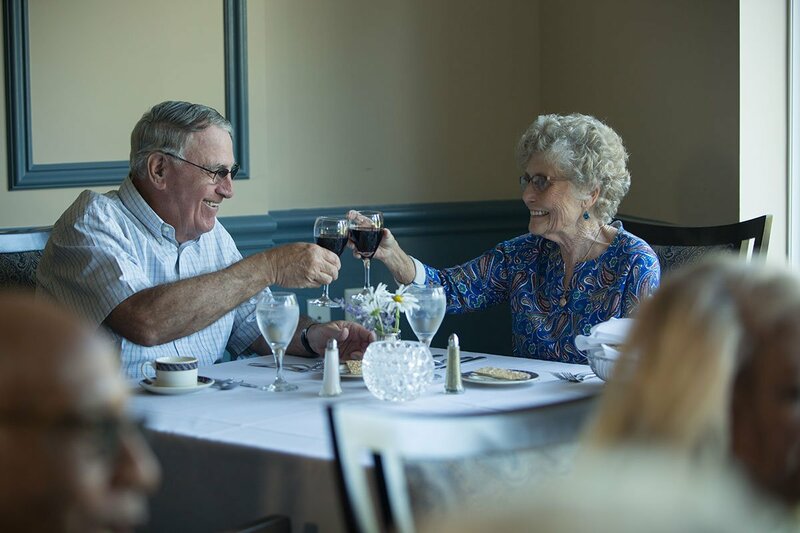 Bring wine or your beverage of choice to enjoy over a meal with friends in our fine dining restaurant. 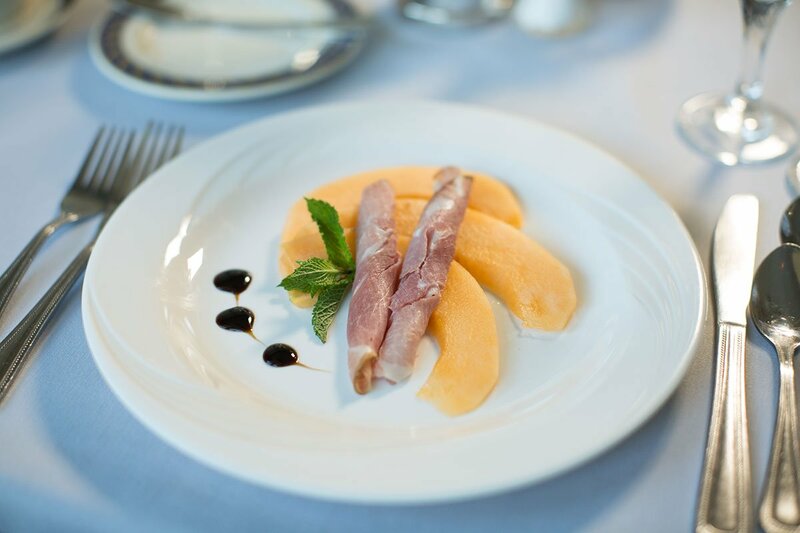 Offering a full menu of new dishes daily – and the revolving selection of homecooked classics – there is always an option to suit your individual tastes. 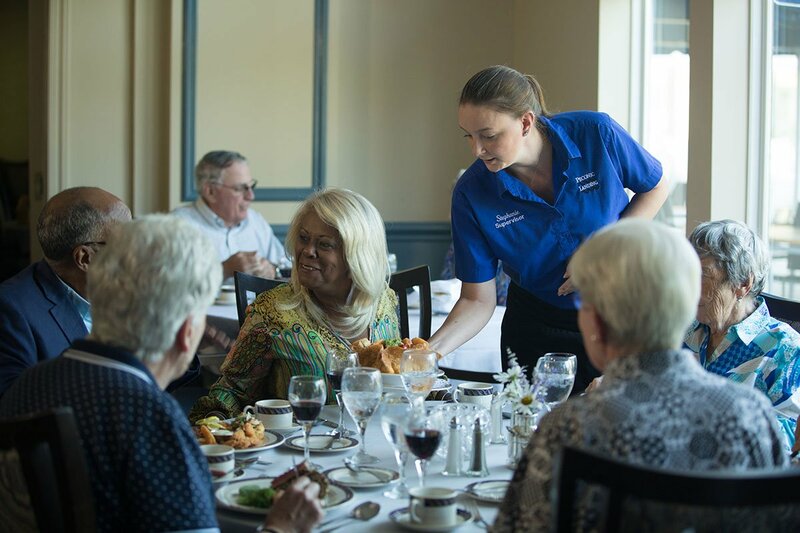 A more casual dining option, the bistro offers fresh soups, salads and sandwiches made to order by day, and a chef’s action station with buffet items by night. This popular meeting place hosts a complimentary continental breakfast each morning, with a coffee and juice bar available all day. Along with frequent high praise from members, our culinary team has also received national recognition for its progressive approach. 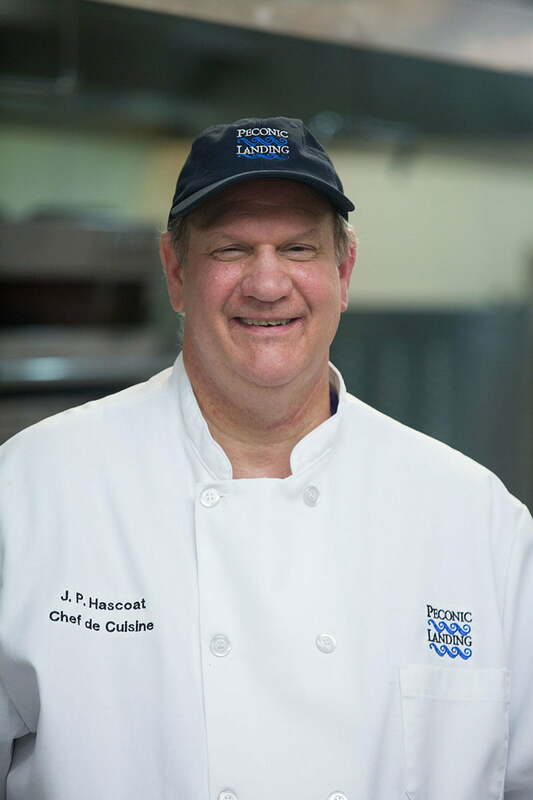 Executive Chef De Cuisine Jean-Paul Hascoat earned the United Fresh Produce Excellence in Foodservice Award in the “Hotels & Healthcare” category from the United Fresh Produce Association. 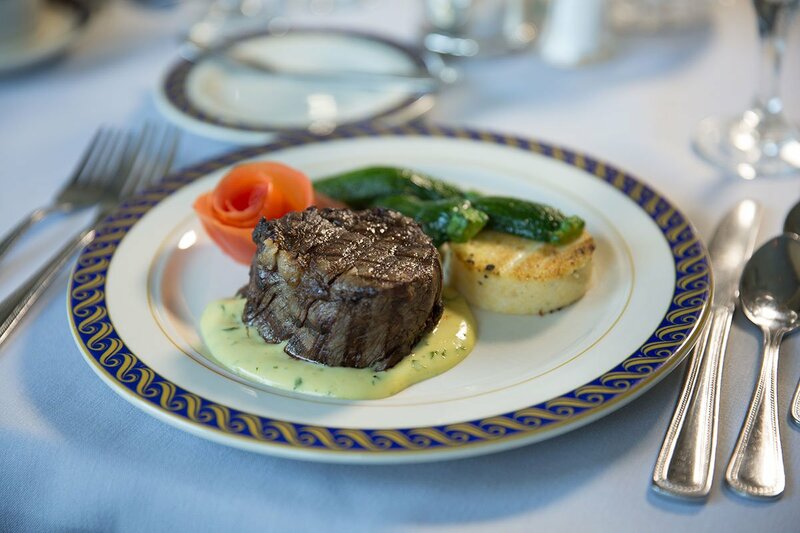 The award honors the use of fresh, local produce on the menu and also recognizes proper handling procedures, professionalism and a demonstrated commitment to providing our members with a positive overall dining experience. 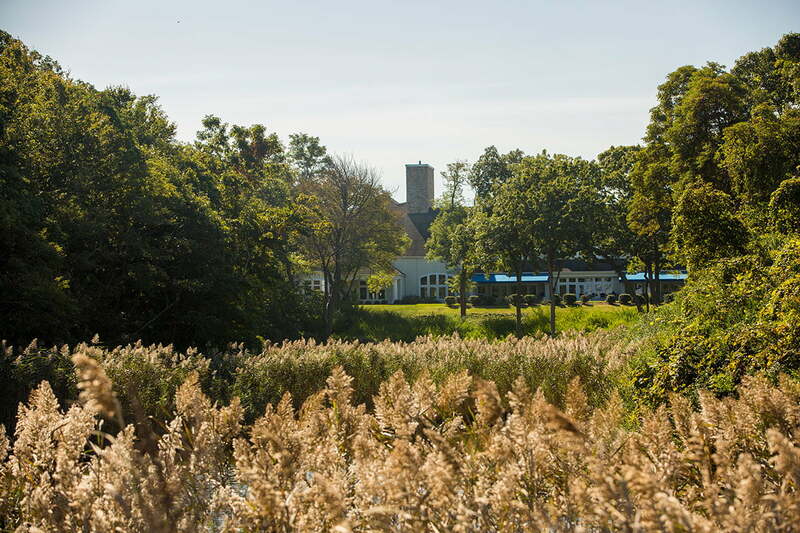 Jean-Paul started cultivating culinary skills at a young age, working under his father, Robert Hascoat, at his family’s French fine-dining restaurant La Gazelle in Southold, presently the location of the acclaimed North Fork Table and Inn. 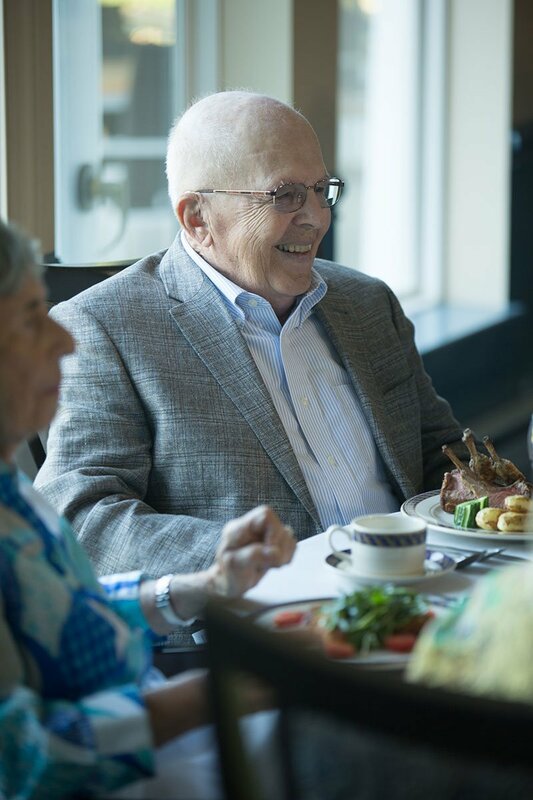 After running the kitchen at La Gazelle, Jean-Paul went on to work at the Waldorf Astoria in Manhattan before moving on to Doral Hotels and Resorts. He received his degree in Hotel Restaurant Management at New York City College of Technology in Brooklyn. Dining options develop an energy of their own. Determining casual or more formal adds to the experience of responding to one's need for choice. We have been so impressed with both the quality of the food and the service received. The staff went ouf of their way to accommodate me when dining with my husband, especially on short notice. We were treated like royalty! Thank you!! 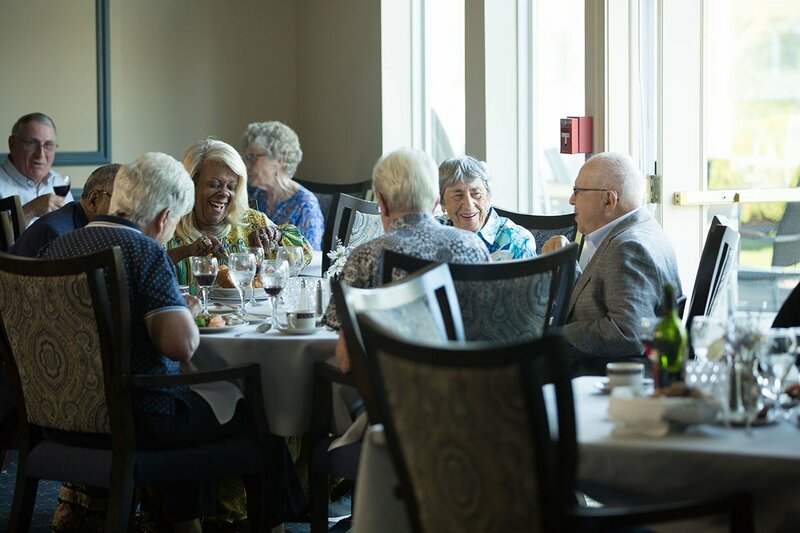 We prefer the dining room where we are served and can enjoy the company of friends – old and new. Eating at home with take-out is always an option when health or the weather have an influnece. Dining exceeded our expectations, but is only one of the joys of living here. 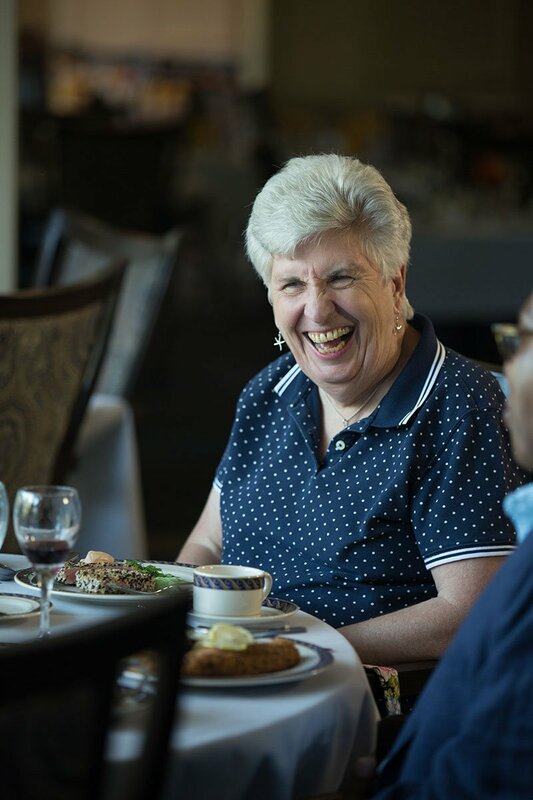 We have wonderful friends, joyous staff, a variety of activities and a comfortable home.